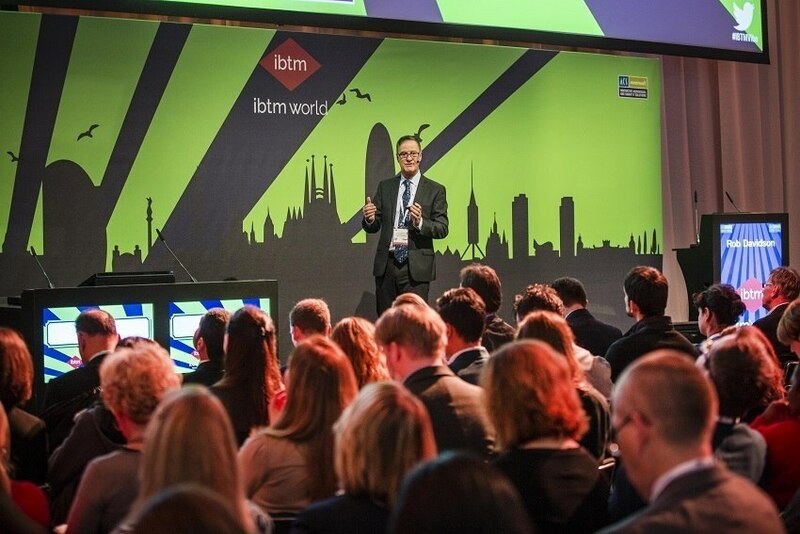 The IBTM World Trends Watch Report was presented at IBTM World in Barcelona, outlining a picture of a changing world, but with a number of opportunities in the meetings and events sector - trust is the watchword. The report, which examines the current state of the industry and sets some predictions for next year, is authored by Rob Davidson, MICE Knowledge Managing Director, and Alistair Turner, Eight PR & Marketing Managing Director. Based on data analysis and interviews with experts, the document begins by outlining a picture of the global economy in 2018, then moving on to a study in different dimensions: corporate meetings, associative conferences, incentive trips, regions and technological trends - the latter is a new chapter reflecting on the challenges and opportunities that technology provides and how the meetings industry can take advantage of it in the future. "We are undoubtedly experiencing an era of uncertainty, but with some real opportunities for this industry. Of course there is a growth in industries and economies around the world and this brings genuine trust to the meetings and events sector," Alistair Turner comments, adding that the impact of technology on the sector is "obvious". Dynamic businesses, new industries and the upturn of historically unemployed sectors are "great news for the meetings and events industry", since this leads to communication, knowledge sharing, meetings, education, networking, professional conferences, product launches, among others. Regarding incentives, the report states that expenses per person increased, as well as the number of people eligible for incentive travel, and that, on the other hand, cost reduction has become more important. "In incentives, ethical choices are fundamental, not just in terms of location, but also activities. The discussion about wellness has increased, both within and outside the sector, such as the search for incentives that encompass an element of well-being," IBTM World shares. The document refers trusting in incentive programs, which extends to 2019. "Famous meetings and events destinations will need to be increasingly 'intelligent', but they will also be chosen based on their communities and their expertise; destinations should not only be 'intelligent' but should also have 'knowledge'. What is also clear is that these cities do not need to be informed of the value a meeting or event held at the destination brings - they see and understand that value," the report reads, also highlighting the role of destinations and venues in conquering associative conferences. Geographically, the European market "remains positive, with mature markets that require greater engagement and innovation". The report also points out that, although Brexit negotiations are still unclear as to how border control will proceed, London's popularity as a destination has not decreased. "Once again we look at a world 'on the verge of chaos', with an ongoing international trade dispute. However, we remember where we were last year and how nervous we were as we entered 2018. And meanwhile, we continue to report growth figures in economies around the world and trust within industries, including meetings and events", the report also reads. As trends for 2019, the document points to wellness (a trend that has been growning over this year and will continue to be popular), experiences (as a way of adding value to an event), the role of millennials (a new type of guest, more demanding and with greater technological and sustainability needs) and security (taking into account several high profile incidents in recent years, from terrorist attacks to ecological threats, this topic is still a priority for event organisers). "Our industry is boosted by other industries success, by cities and regions investments, by business growth and by the fact that companies and associations believe in quality investment in meetings and events. This works in favour of the meetings industry, a market that thrives in times of change," the report concludes.